We have teamed up with Voice 21 to create a project to prepare pupils for their transition to secondary school and the next chapter of their educational journey. Pupils heading to Year 7 need growing confidence, strong language skills and the ability to express themselves, to develop their thinking skills and to communicate effectively. 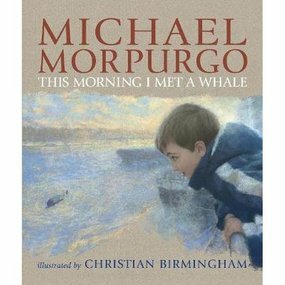 This resource uses the moving and relevant environmental message of This Morning I Met a Whale by Michael Morpurgo to put oracy at the heart of transition: prompting high-quality discussion, developing skills such as questioning, clarifying and summarising, and building confidence in verbal presentation. provide opportunity for pupils to demonstrate and celebrate the skills they have gained. This 1-day workshop explores language as a tool to develop thinking, training secondary teachers to develop oracy in the classroom.